Having a place to relax outdoors not only adds an extra chill-out space to your home but allows you to enjoy the fresh air in a whole different way. You may already have a few elements to work with, such as an enclosure or tiled area but if not, there are simple ways to add them in and bring it all together. The location may be obvious, but if not, choose a flat surface. Consider whether you can take advantage of existing walls to build onto, such as walls of the home, garage or even a shed. 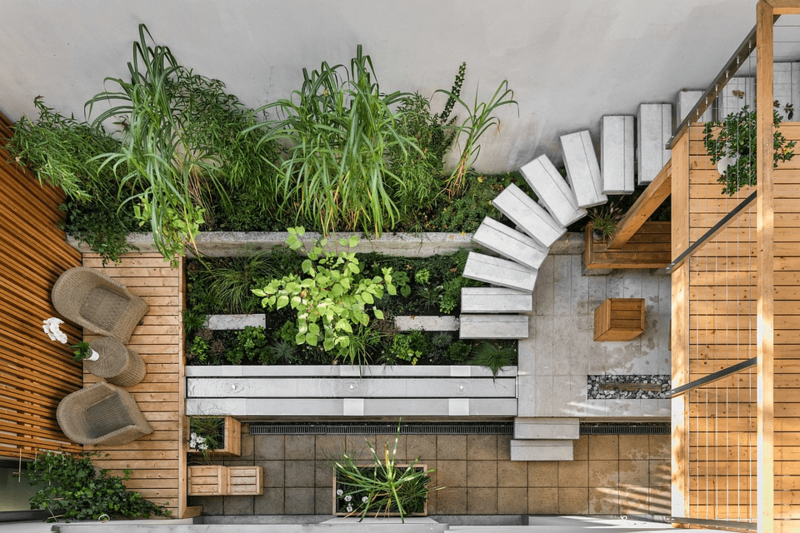 If you already have a deck or tiled area you’ll probably skip this step, but if you’re working with a garden you’ll want to have some solid flooring to set your furniture on. Consider natural stone or wood that blends in well with the natural surroundings. Weatherproof materials are also important, as you want the space to stand up well to the elements. 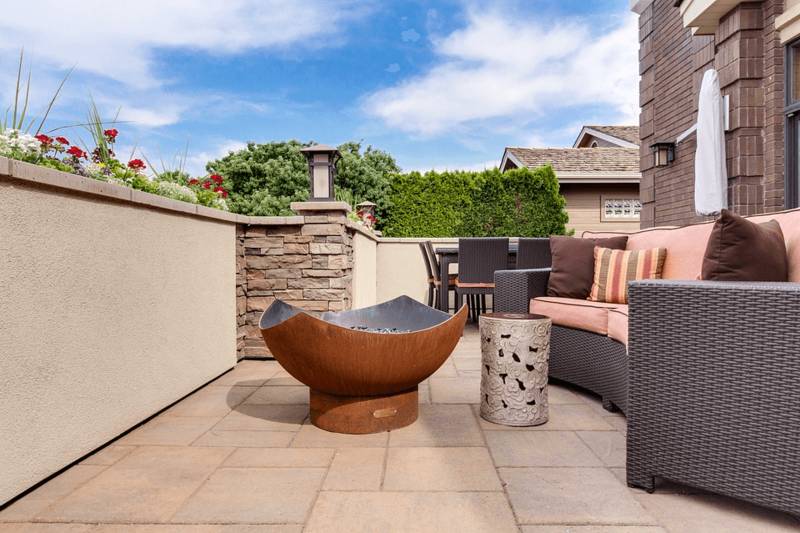 You can choose high end flooring like trex decking or stone, or go with a budget option – even gravel over a weed-proof barrier can serve as a good base. Don’t forget that this area may become wet and if so you are probably going to need a non slip flooring such as non slip floor tiles. As you move forward with the design it’s good to have an idea of what you like before you begin to shop. This way you can create an outdoor lounge area that is a natural extension of your home, or, even if you go with a different yet complementary style, turns out the way you had in mind from the start. 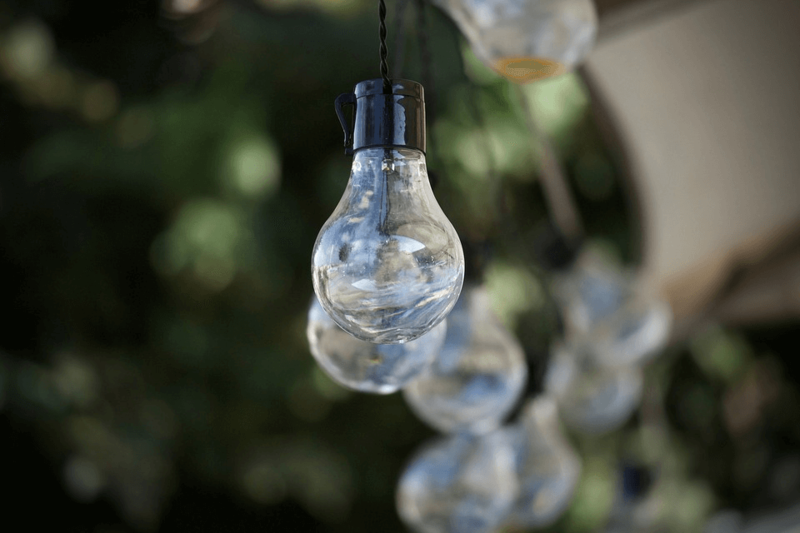 Do you want your lounge area to feature modern wood and metal accents with the popular Edison-style light bulbs, or are you looking for a rustic beachy vibe? A minimalist look with just a few chairs and a fabulous wooden table can be accented by lots of lush greenery and just a single, special lamp. There are many ways to define the style, but before getting out your credit card you should know what you have in mind and shop accordingly. Indoor rooms have walls and a ceiling to make them cozy, but for outdoor lounge areas, a balance between enclosure and open space is usually the best idea. Take advantage of existing walls, pergolas or overhangs, add them in. Building a pergola is a relatively easy DIY project or you can ask your carpenter for help. 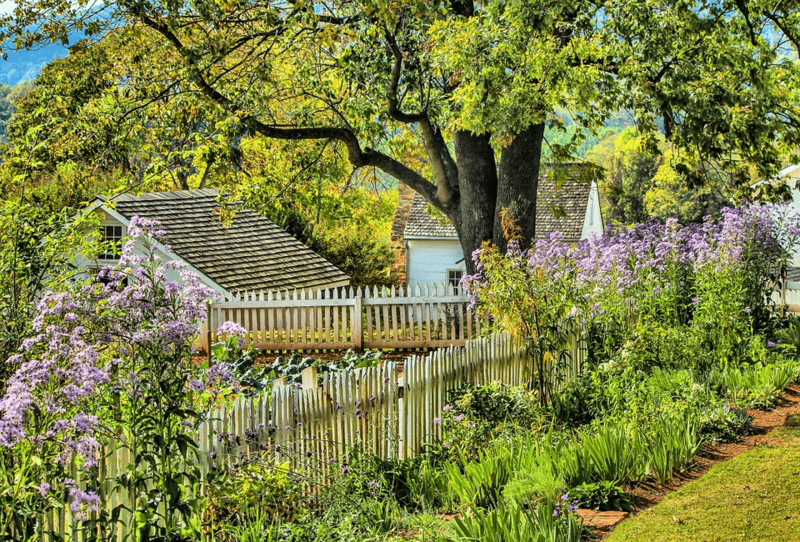 As for walls, rows of potted plants, shrubs and hedges can all help serve as part of the enclosure, or you can build partial walls that still allow you to enjoy the rest of the outdoor space. You can also get creative with outdoor screens, trellises with flowers, or just leave everything open, with a rug under your furniture to bring everything together. 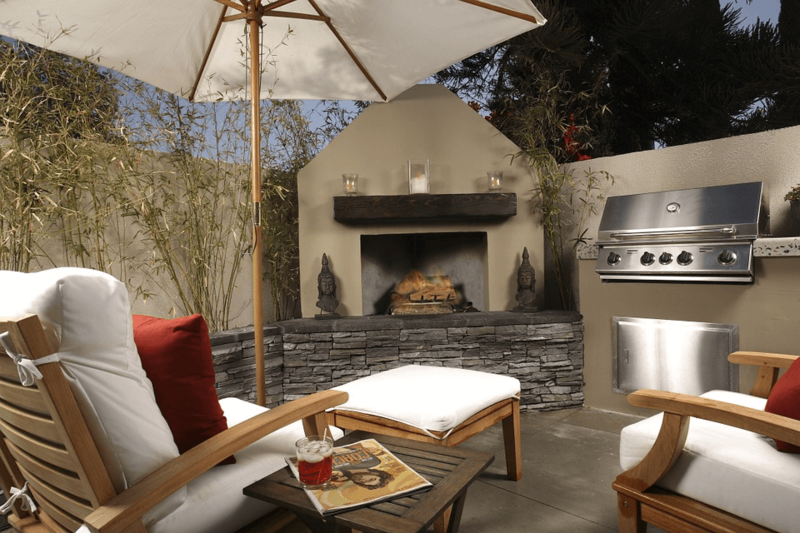 When choosing how to furnish your outdoor lounge area, consider how you’d most like to use the space. Is it a place you’d like to be able to have lunch in, or barbecue? Do you need to be able to set a full table? Or maybe you’d prefer an actual living room-type lounge, complete with an outdoor TV, sofas and a coffee table in the middle. Think of where you’ll set your drinks and snacks, and how easy it will be to converse with people in the space. 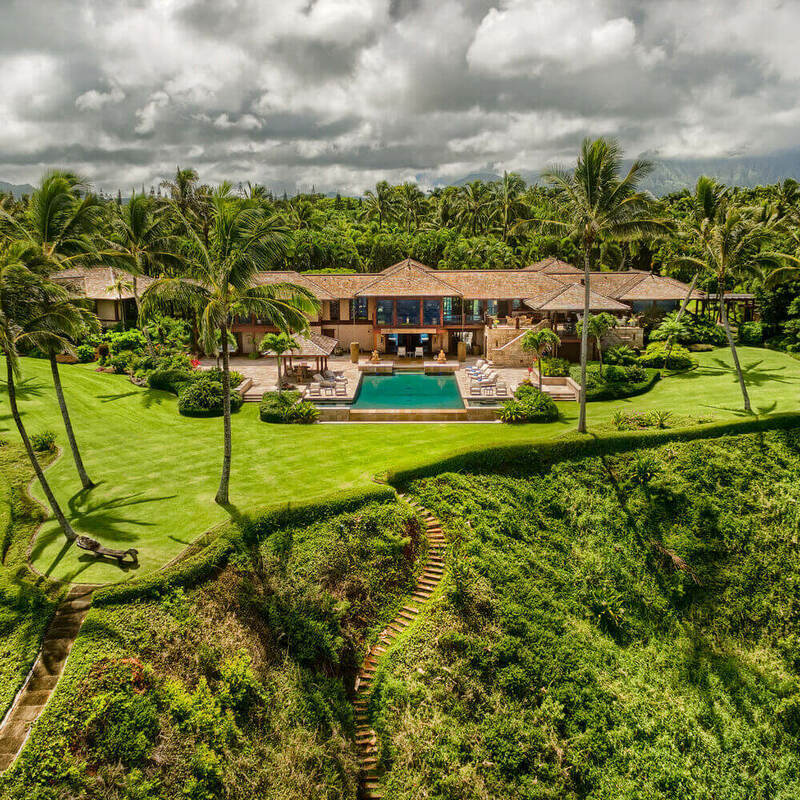 Yet another option is a set of comfortable lounge chairs with small end tables for drinks and a fire pit in the middle; or a sunbathing area with beach loungers and big umbrellas. Also, think of whether you’ll need to bring your furniture in for the winter – it’s easier to store furniture that’s lighter and stackable than a heavy outdoor living room set. Sunbrella and other sturdy weatherproof fabrics are good to look for when reviewing outdoor furniture materials. Finishing touches for a great outdoor lounge area include outdoor lighting, such as LED accent lights or string lights hanging over the space. You can add in speakers for listening to music, a mini fridge, outdoor carpeting, weatherproof throw pillows and fun accessories. Or, work simply with plants to create the perfect view from your lounging area. This is also a good time to spend time there and make sure you’re not looking at anything unsightly from the space. 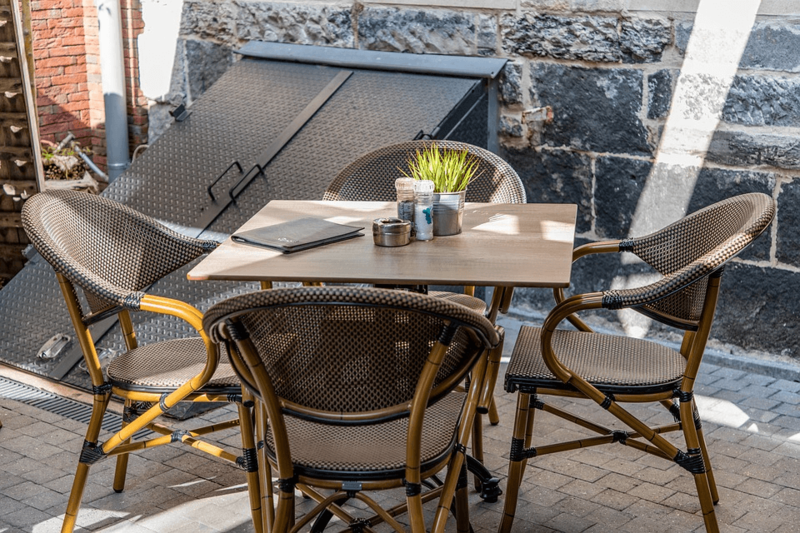 Move bins, scrub away mould, wash windows; all of these little measures will make your lounge outdoor areas comfortable and pleasant, and ensure the time and effort you invest in the space are well spent.